So much yarn, so little time. : Astounding Knits! 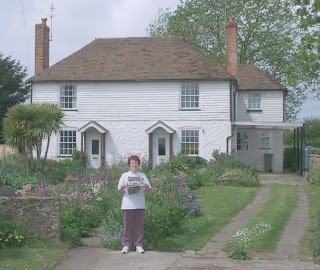 I was contacted recently by the publishers of a new book "Astounding Knits!" who thought I might like to share it with you - all I can say is "Hands off!" 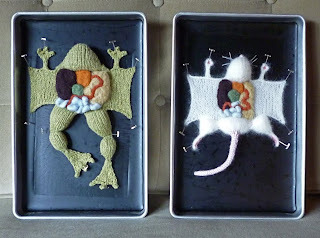 I knew I was going to enjoy it because the press release mentioned the wonderful aKNITomy.etsy whose knitted dissection specimens I've long admired. Whoever would have imagined that a disembowelled frog could be as cute as this? There are other wonderful projects that are completely new to me, and some that I'm familiar with from flickr, facebook, blogs, websites. Some I've blogged about before- remember the Mersham knitted village? I bought one of those knitted houses, the photo below shows me holding it in front of the genuine house! I wasn't surprised to see Althea Crome included, her tiny tiny sweaters are legendary! Coraline is one of my all-time favourite books, so I haven't seen the film for fear of it not living up to my imagination. There's no doubt, however, that her tiny sweater (designed and knitted by Althea of bugknits is all I'd hoped for. I already knew about this amazing anatomically correct childbirth Education doll by CozyColeman. 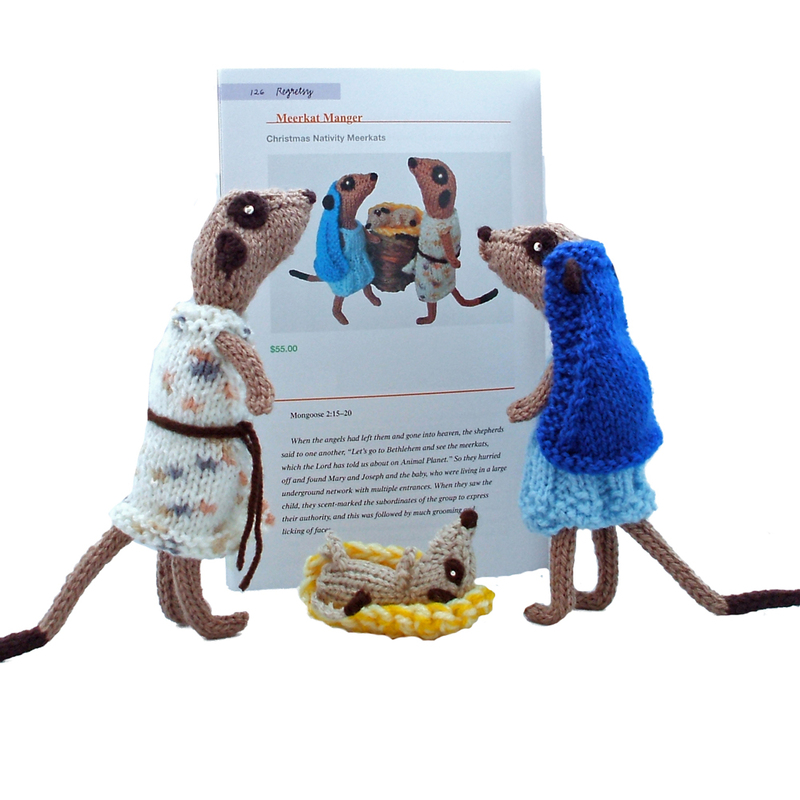 We'd "met" in the Regretsy book last year which also featured my Meerkat Nativity. There are links in the book so naturally I whiled away an hour or two looking at websites. 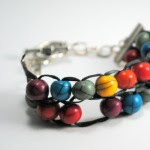 I discovered what I thought was a pretty beaded bracelet, but it's much more - it's a knitting abacus by CozyColeman, a brilliant invention for anyone who needs to keep track of their rows and stitches. A knit that took me totally by surprise was Dave Cole's giant American flag, knitted using excavators. I am so glad he put this on youtube, the process is appropriately astounding! I loved the Belgian Natural gas advert - again, seeing the process just adds to my enjoyment. Thank you for the kind comments and the links! That dissection kit is awesome! I've known CozyColeman for many years, she's an incredibly talented designer and knitter! The care and imagination she puts into those momma dolls is astounding, each is it's own woman! You should have seen the Inuit one!! The Ablet is brilliant! I bought one for my mom yesterday! Amazing how something so simple can be so incredible! Oh what fun!! I love this. Kinda ewww on the disection..but being a science geek..wicked cool!! I would love to know how that knitting braclet works..I so need one!! ooooohhhh i love the dissection knits! and educational - what more could you want?..... has someone knitted embryo stages yet......?! What a great collection of astounding knits! 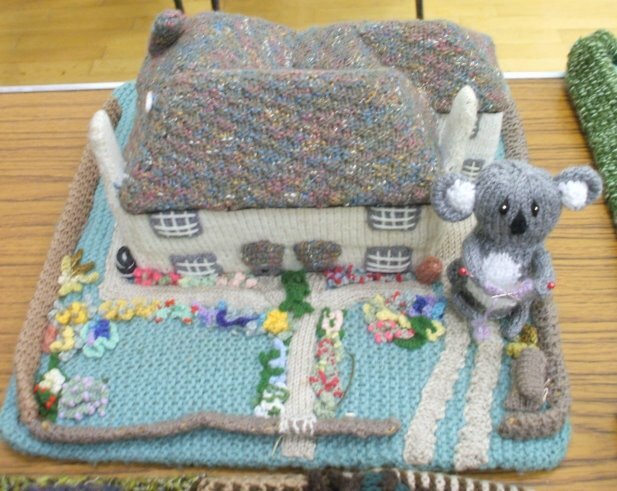 I especially love that you got a photograph of yourself holding the knitted house outside the house it was based on! 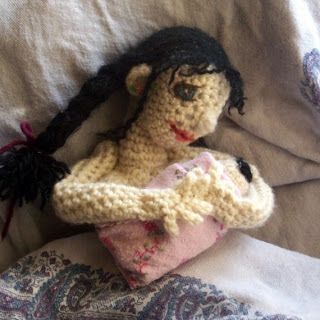 I knew about some of theses projects before but the knitted childbirth doll is completely new to me... what an incredible thing to knit! 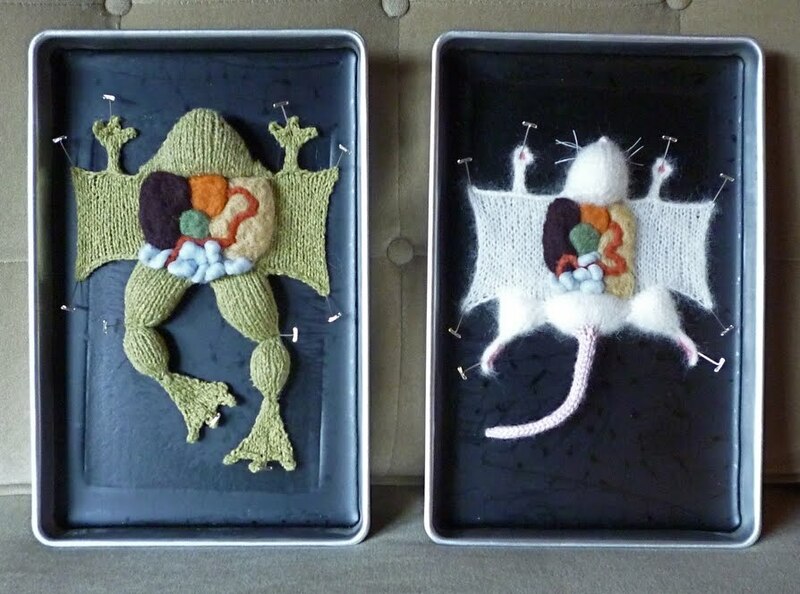 I love the natural gas advert and the dissection knits are awesome!